Leslie Jones vs. Vampire Weekend: Which Upper Side Is Best? In this battle of two recent music videos, you’re gonna have to pick a Side. We all missed a little more than usual this week when we lost an hour of sleep in order to enter daylight saving time (hello, sunshine!) last Sunday morning, before spending the rest of the ensuing week basically playing catchup. Now that we’re better rested, we’re ready to weigh in on a musical battle that’s pitting the Upper East Side against the Upper West. First, Leslie Jones made a Saturday Night Live digital short devoted to the UES, where she ecstatically lives, and now Vampire Weekend—the Columbia-educated boys who, it’s safe to assume, didn’t bribe their way into college (too soon? )—has released a video for their new single, “Sunflower,” that features some of the best stomping grounds on the UWS. We couldn’t resist a deeper look at the neighborhood rivalry—and the chance to pit the Upper East against the Upper West. Can you blame us? The star power is strong among all of these New York elites. Jones obviously gets a boost from fellow SNL castmates and the week’s Scottish host, James McAvoy, though the video also heavily features strangers on the street and the subway, plus the endearing participation of tourists on a hop-on-hop-off bus where you’d be hard-pressed to find a local. Vampire Weekend, on the other hand, keeps it simple with Ezra Koenig, the Internet’s Steve Lacy, hip-hop legend Fab 5 Freddy, and former UWS regular Jerry Seinfeld. Jones’s guide to the UES is comprehensive. 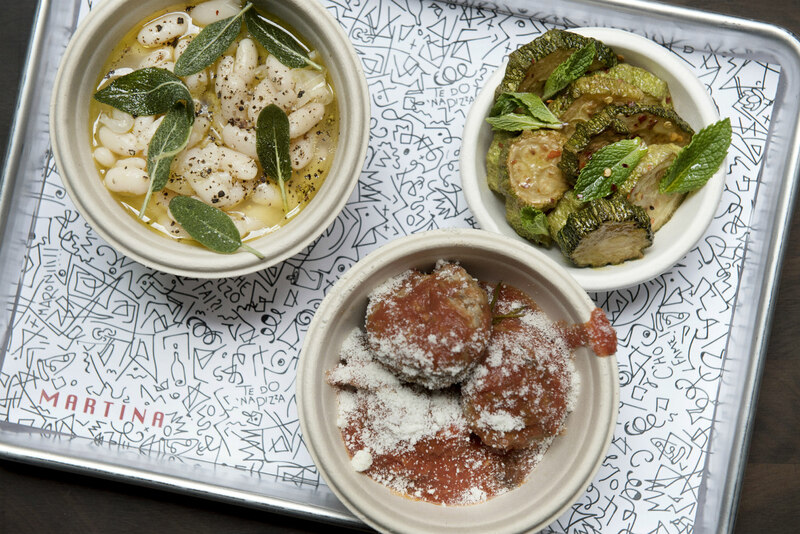 Stop in at the Metropolitan Museum of Art and get food from Fairway or Daniel—but the best spot will always be Kate McKinnon’s couch (warm cat included), and this does make a solid case for the clean, reliable Q train. Again, Vampire Weekend plays it like they have nothing to prove. First, they stroll through the incomparable Zabar’s before lounging at Barney Greengrass. Honestly, it looks like they’re doing a You’ve Got Mail nostalgia tour of the city. Jones and Koenig mark their videos with decidedly different aesthetics. The Upper East Side on display for this SNL powerhouse is dark blue throughout, right down to the prideful UES monogrammed tracksuit. 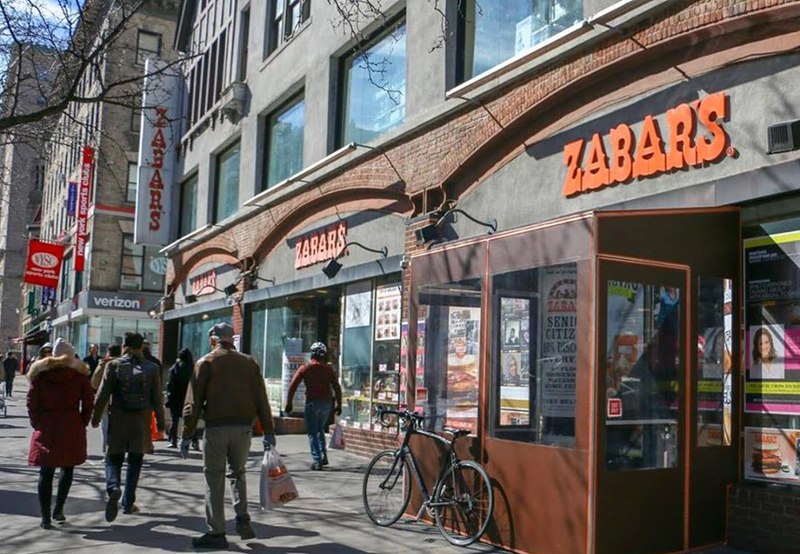 On the Upper West Side, however, the iconic orange of the Zabar’s logo sets the tone. 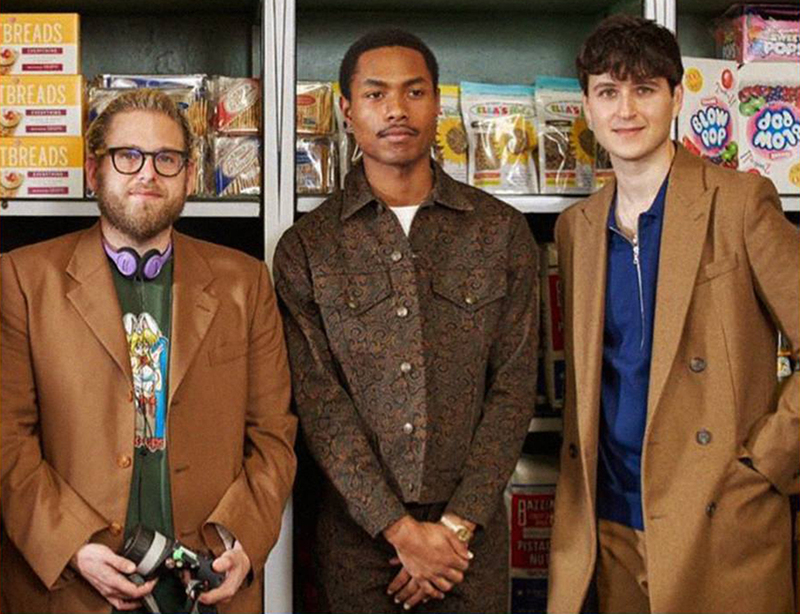 The washed-out hues of the indie scene from the guys who instantly make us want to shop the United Colors of Benetton paint a picture of the aspirational preppy New York that we’ve always associated with swank Manhattan above 60th Street. And don’t get me started on that sleek double-screen trick in the “Sunflower” video. Maybe it’s time to admit that Jonah Hill makes a fine director. Here’s our take, if we’re judging these videos based on which one is more New York: Jones gives us the roundup of a lifestyle we know, but Vampire Weekend gives us a crisp vision of the city that we want to inhabit. It doesn’t get any better than eating deli food in New York with a puppy in your coat pocket (rewind to the first 10 seconds of the video!). For musicality alone, Jones’s descriptive homage to the favorite place she’s lived gives us a lot to work with, while this latest Vampire Weekend release, on the other hand, sounds like a joke upon first listen. But somehow their catchy single grows on me every time I belt out the admittedly silly “bada-bada-ba!” The way to the heart is through the stomach and, this time around, the classic New York bagel-and-lox combo reigns supreme. 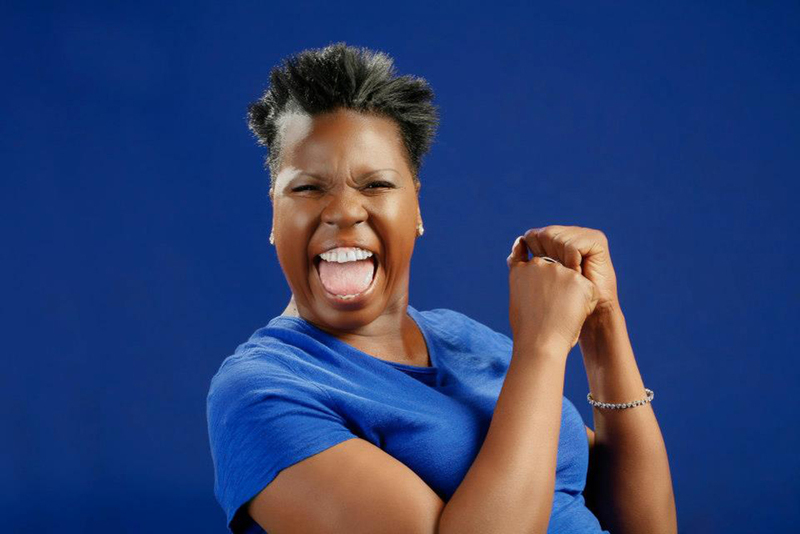 Advantage and Winner: Leslie Jones! Now let us plan your perfect day on either Side!